Learn how to dress hair with these exclusive hairdressing training tutorials by Hester Wernert-Rijn on MHD. Hester Wernert-Rijn started hairdressing at the age of 15, but it was at the London based Vidal Sassoon Advanced Academy where she finally felt inspired. Hester's drive for technical perfection is countered by a strong creative search and a life-long obsession for braiding techniques. In 2007 she started the Mogeen salon and Mogeen Hairschool and since 2011 she has been Creative ambassador for Sebastian Professional in the Netherlands. In 2012 she also became Creative ambassador of P&G. 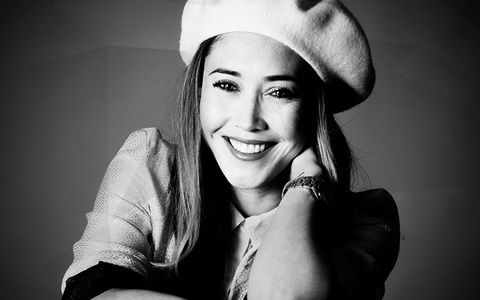 Hester has built an international reputation working as assistant to Eugene Souleiman during Paris Fashion Week for designers such as Yohji Yamamoto, Valentino and Stella McCartney. She is 'Chef de Cabine' for many designers during Amsterdam Fashion week including Jan Taminiau and Rodrigo Otazu, Iris van Herpen en Supertrash. Represented by House of Orange, her editorial work includes magazines such as Vogue NL, Numero, Purple, W, L’official, Elle, POP magazine and fashion campaigns for Louis Vuitton, M Missoni and an advertorial for Victor & Rolf. Hester has won many prestigious awards such as the Coiffure Award Noord-Holland, Avant-garde Press Award and Hairdresser of the year 2011 and 2012 in the Netherlands.